Coimbatore is the third largest city in Tamil Nadu-India, is known for its culture and hospitality. 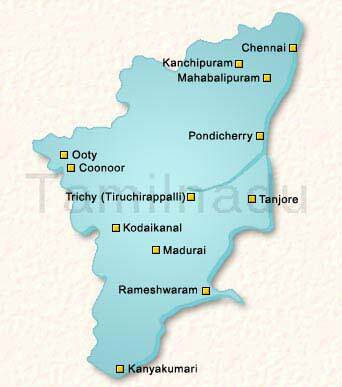 It is situated in the western parts of Tamil Nadu at 11° North Latitude and 77° East Longitude. Coimbatore has more than 40,000 small, medium and large level industries which serves the engineering needs of major parts of the country. The principles of education is very high, and the availability of engineering, arts & science, medical, nursing, law and other colleges made Coimbatore a popular destination for studies among the nearest states. For this reason the state government of Tamil Nadu has preferred Coimbatore as one of the major IT destinations in the state after Chennai. Companies like CTS, Wipro and TCS have already they started their operations here. The city has also some world set of hospitals which attracts people form other parts of the world for cheap and quality treatment. Coimbatore is popularly known as Manchester of South India, it is situated in the western part of the state of Tamil Nadu. Totally it Covering an extent of 105.6 sq.km., Coimbatore is also well known for its textile industries and has excellent potential for industrial growth. The Coimbatore city is a traditional, multi-cultural wide-ranging culture with its people still retaining their roots to their native surrounding villages and its culture. The citizens of Coimbatore are known for their well-cultured manners, honesty and hospitality. The city has a huge number of fun clubs and tourist spots for the tourist to visit. The Important clubs in Coimbatore are Golf Club, the Cosmopolitan Club, The Coimbatore Club and the Coimbatore Flying Club. The Coimbatore District also has two most main nature sanctuaries like the Madhumalai Sanctuary and Annamalai wildlife sanctuary. And also visit Udhagamandalam, popularly known as Ooty on the foothills of the Nilgiri Hills which once served as the summer capital of the British rulers in India and Kodaikanal, which is situated at the Southern tip of the Palini Hills and is one of the popular hill stations in South India. For religious tourists there are more number of temples in the city, the most well-known among them include the Perur Patteeswara Swamy temple, Marudhamalai temple of Lord Muruga, Arulmigu AranganathaSwamy Thirukoil, Arulmigu Poondi Velliyangiriandavar Thirukoil, and the Arulmigu Eachanari Vinayagar Temple.